When disco diva, Deloris Van Cartier, witnesses a murder, she is put in protective custody in the one place the cops are sure she won't be a found: a convent! Disguised as a nun, she finds herself at odds with both the rigid lifestyle and the uptight Mother Superior. Using her unique disco moves and singing talent to inspire the choir, Deloris breathes new life into the church and community. Soon, the gang finds themselves up against Deloris and the power of her newly found sisterhood. 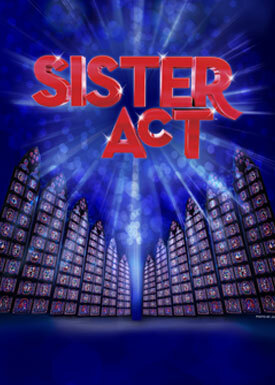 Sister Act is the feel-good musical comedy smash based on the hit 1992 film. Featuring original music by Tony and Academy Award winner Alan Menken (Newsies, Beauty and the Beast, Little Shop of Horrors), this uplifting musical was nominated for five Tony Awards, including Best Musical. 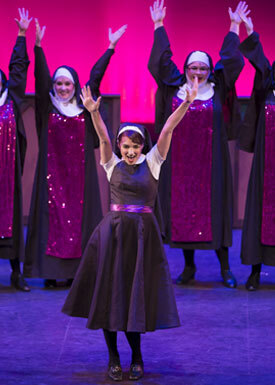 Filled with powerful gospel music, outrageous dancing and a truly moving story, Sister Act is a sparkling tribute to the universal power of friendship. NOTE: Thursday, November 15 performance will be ASL interpreted. Interested ticket buyers need to contact the box office by phone to request locations in the appropriate seating area. Box office number is 714-895-8150.